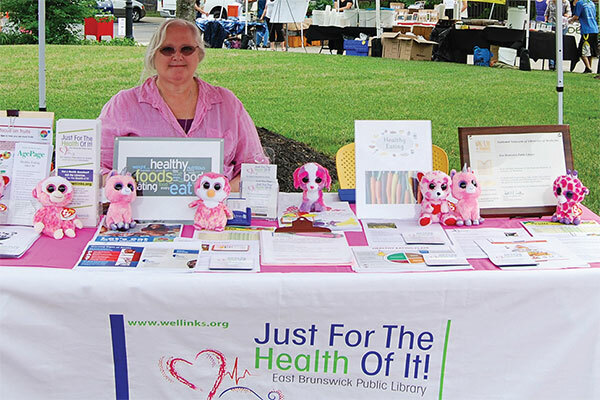 East Brunswick Public Library was featured in a recent issue of American Libraries for their exemplary work in the area of health information literacy. After creating a health information portal in 2009, EBPL won a $15,000 grant from the National Network of Libraries of Medicine, Mid-Atlantic Region (NN/LM MAR) and have expanded the scope and reach of their “Just For the Health of It” program to serve information seekers in Arabic, English, Gujarati, Hindi, Korean, Mandarin, and Russian. Congratulations to all of our colleagues, who do so much every day to serve their communities at such a high level. You make us all proud! We thank Roberta Fitzpatrick (George Smith Library, UDMNJ) and Steve Chudnick (Brookdale Community College) for their service as LibraryLinkNJ representatives to the Library Network Review Board as their terms come to an end. We warmly welcome Gloucester County Library System Director Anne Wodnick to the LibraryLinkNJ Executive Board. Anne steps into Kathy Schalk-Greene’s shoes as a Public Library Representative. Kathy resigned her position on the Executive Board upon her retirement from the Mount Laurel Library on November 1. Literary Reference Center Plus with Poetry and Short Story Reference Center: For LibraryLinkNJ member school libraries only, this offer upgrades Literary Reference Center, which libraries already receive for free through JerseyClicks. Visit the discount page for details of the upgraded contents. School libraries receive a 30% discount. EBSCO Ebooks: Libraries receive 25% off the appropriate ebooks package. There are separate offers for LibraryLinkNJ member school libraries and public libraries. There is still time to learn more about Beanstack with a free webinar in November or December. Beanstack is the early literacy web service for public libraries and LibraryLinkNJ has a discount offer through December 31, 2015. The following webinar times are available; select a link below to register (be sure to select the correct date from the drop-down menu on the registration page). Visit the discount page for more information. 2015 has been a great year for literary fiction, and there’s more coming in early 2016! The big names, like Jonathan Franzen, Geraldine Brooks, and Margaret Atwood, as well as many recent popular favorite authors from the last few years have all published--or will shortly publish--new novels. Since you can’t read ‘em all, join Roz Reisner to get a taste of which ones will appeal to your mainstream and mid-list fiction patrons based on their appeal characteristics. Share ideas for publisher imprints and small presses to watch, awards to track, and print and online resources for keeping up. This 90-minute webinar will include a 60-minute presentation and 30 minutes for Q&A, as well as an interactive portion about resources and keeping up with new and forthcoming titles. Secure your space & register today! Thoughtful, well-written content is integral to the user experience of your library’s online presence. Practicing effective web writing strategies reaches far beyond your website to anywhere people interact with your content online. This webinar will cover the various types of web copy libraries create, as well as thinking about who your audiences are and how they read on the web. We will also talk about voice and tone, including the importance of being conversational, honest and kind. Finally, the talk will be chock full of essential tips for high impact writing such as structure, writing for scannability, good use of links and avoiding jargon. Once you start to care about quality web writing, there is no going back. Be prepared to think critically, brainstorm and get amped about the power of well-written content. The topics will be: What it Means To Be a Supervisor, Evaluation & Documentation, Communications, and Human Resources Basics and Running Successful Meetings (a two-in-one workshop). 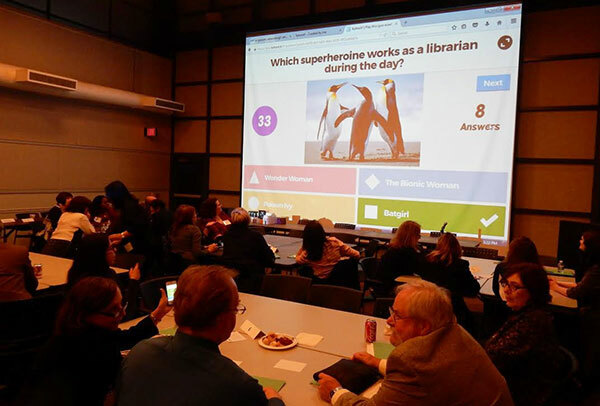 Registration for Super Library Supervisor will open on Wednesday, February 10, 2016. You can look forward to an updated and even more equitable registration process, with 30 seats available this year. The MentorNJ Project Team would like to thank everyone who participated in the event and made it so much fun and valuable! We also thank you for sharing your feedback with us, and we'll make sure to take all your suggestions into consideration when we plan our future programs. Check out the MentorNJ webpage for more information. 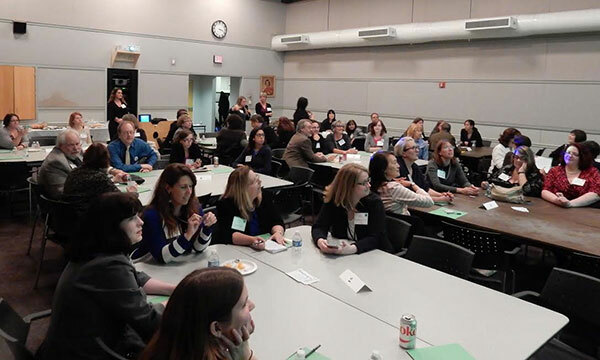 We would also like to give our special thanks to the NJ State Library and the LibraryLinkNJ staff for their help with event material preparation and to the speakers, panels and volunteers who shared practical advice and thoughts with all participants at the event. Read more about the event here!